For more than twenty years, Tim Grove has worked at the most popular history museums in the United States, helping millions of people get acquainted with the past. This book translates that experience into an up-close tour of some of the most interesting moments in American history. 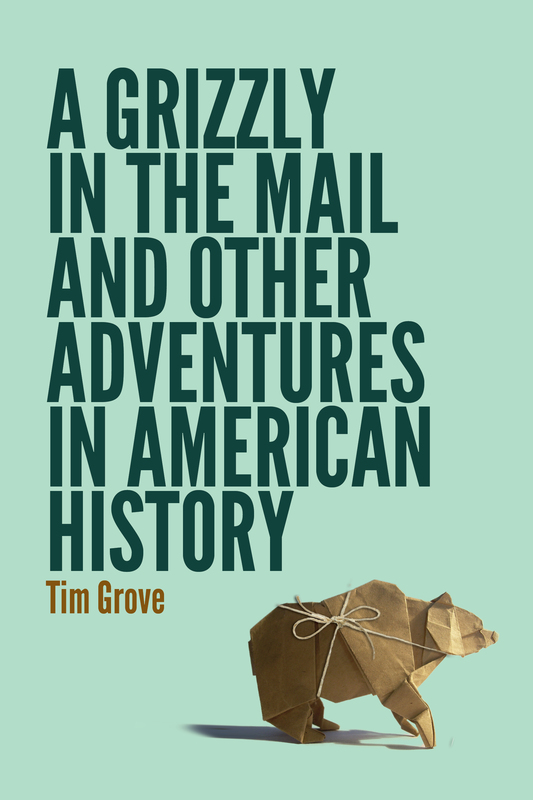 Grove’s stories are populated with well-known historical figures such as John Brown, Charles Lindbergh, Meriwether Lewis, William Clark, and Sacagawea—as well as the not-so-famous, such as Mary Pickersgill, seamstress of the Star-Spangled Banner. Grove also has something to say about a few of our cherished myths, for instance, the lore surrounding Betsy Ross and Eli Whitney. Grove takes readers to historic sites such as Harpers Ferry, Fort McHenry, the Ulm Pishkun buffalo jump, and the Lemhi Pass on the Lewis and Clark Trail, and traverses time and space from eighteenth-century Williamsburg to the twenty-first-century Kennedy Space Center, from Cape Canaveral on the Atlantic to Cape Disappointment on the Pacific. En route, we learn something about planting a cotton patch on the National Mall, riding a high-wheel bicycle, flying the transcontinental airmail route, and harnessing a mule. This book answers with a resounding yes, and in the most entertaining fashion, shows us why. — Who really was Sacagawea? — Did Eli Whitney invent the cotton gin? — What happens at an Amish mule auction? — Does Betsy Ross get a little too much credit for the flag? — Does the author manage to ride a highwheel bicycle? 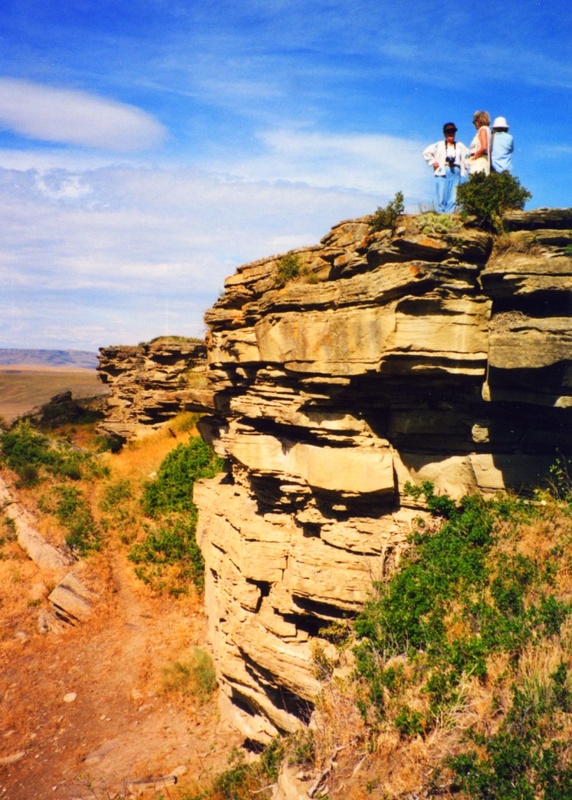 — Why did the Mandan Indians destroy the corn mill that Lewis and Clark gave them? — Does a cotton gin make gin or cotton? — What happens on a rafting trip when it’s 100 degrees? Check out the Table of Contents, Introduction, and excerpts. For ages 10-14. While working on an exhibition at the National Air and Space Museum in Washington, D.C. Tim learned the story of the first flight around the world. 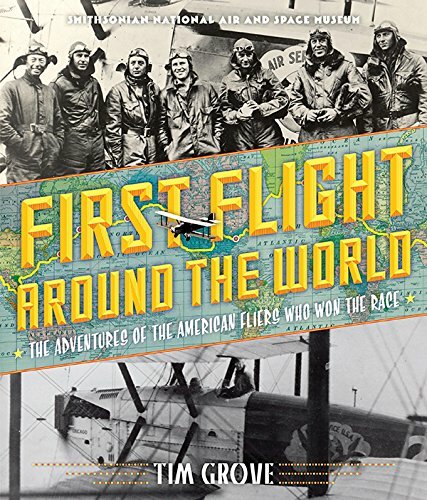 Convinced that children would embrace this grand adventure story, he decided to write a book based on a journal written by one of the airmen who went on the flight. He also searched the museum’s extensive archives for photographs from the journey. The book focuses on overcoming challenges, on teamwork and on solving problems. It introduces children to world cultures and the early years of aviation. Visit Tim’s author website at timgrove.net to see his other books.